Right now on Amazon you can grab this Personalized Pet Collar, Custom Embroidered Pet Name and Phone Number for only $6.99 when you use the code R99LSO32 at checkout. I tried it at 1:15 p.m. EST on 10/18 and it worked. The code SHOULD work through 10/21 but sometimes they pull them early. Durably made with high quality nylon, non-corrosive D-ring & a secure side-release buckle.Double-sided reflective stitching increases nighttime visibility to keep your doggie safe and secure during evening or early morning walks. 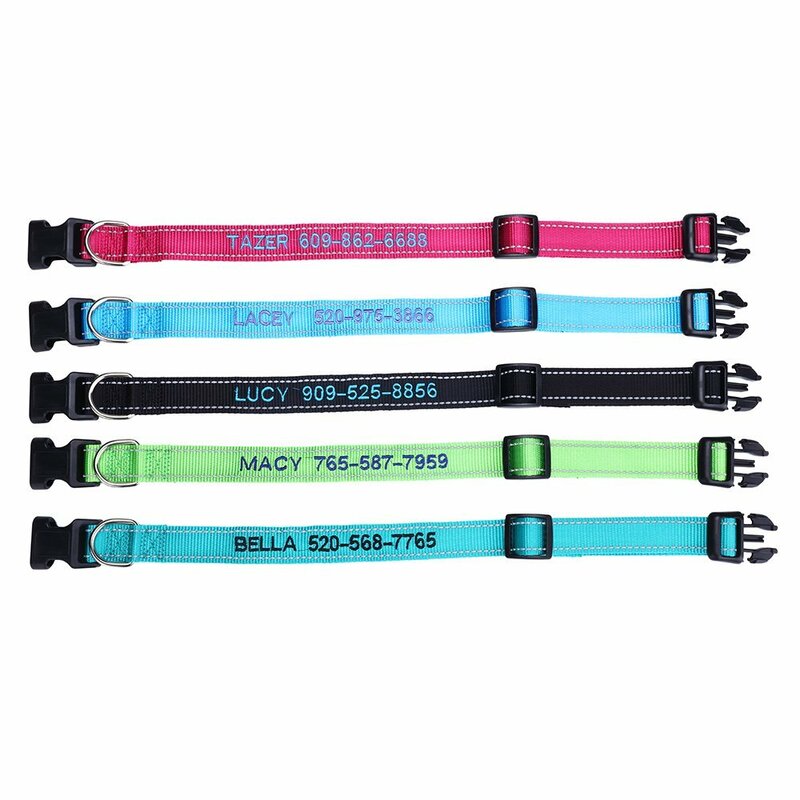 Your dog’s name and phone number will be stitched into the collar permanently for long lasting identification.When you want to go on a vacation the ID collar is the best choice for your pet. The link to this product isn’t working.